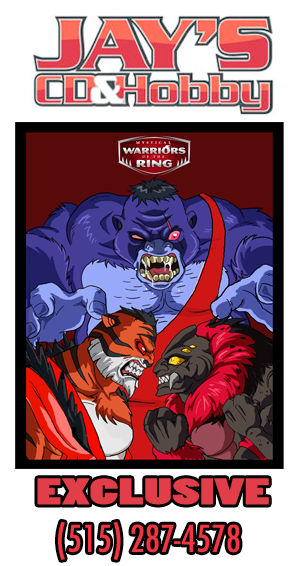 We are in the process of negotiating the creation of a Mystical Warriors of the Ring video game for 2014-2015. Information about that will be posted here. Our aim is to either make an iOS/Android compatible arcade style game, or a NES/SNES themed game that can be played via emulation with a small limited production run of actual cartridges. I would need to sell a whole lot more figures then I have planned to acquire rights to that engine lol We are looking at a few open source engines for iOS and some up and coming developers who can do what we want. We want the game to be more like the old school games like the arcade version of WWF Wrestlefest, the Neo Geo Main Event, NES Pro Wrestling, Tecmo Wrestling, etc. I prefer Virtual Pro Wrestling 2 slightly over No Mercy because you can tweak the AI of your CAWS and have some great MMA fights. Tecmo Wrestling could be a great template for your game. The WWE/WWF games may have had the big names, but in terms of controls and the number of moves you could do, nothing came close to Tecmo for a long time. I also liked the way Tecmo handled the story and move elements, the fluidity of the commentary and the animations went a long way in selling the match unlike say NES Wrestling which was just button mashing. Somehow I prefer that written commentary more than the digitized speech later games would have like WWE War Zone. The animation of the commentator also helped to sell the match. In that regard MicroLeague Wrestling was cool, because you had commentary by McMahon, Ventura, Monsoon, Heenan, Sammartino or Lord Alfred Hayes. Another great thing about MicroLeague Wrestling was the presentation: interviews and introductions before matches! I think the only thing similar was the prematch confrontations on WWF Superstars for the Game Boy? I think it would be cool to see some of these elements in the Mystical Warriors game. If I remember right WWF Superstars (and maybe WWF Wrestlefest since they were the same engine) in the Arcade had pre-match interviews as well as the entrance animations which I always thought were cool. who care as long as we get a new style wrestling game. can’t wait. Is this still a possibility? If so, I would totally buy it.